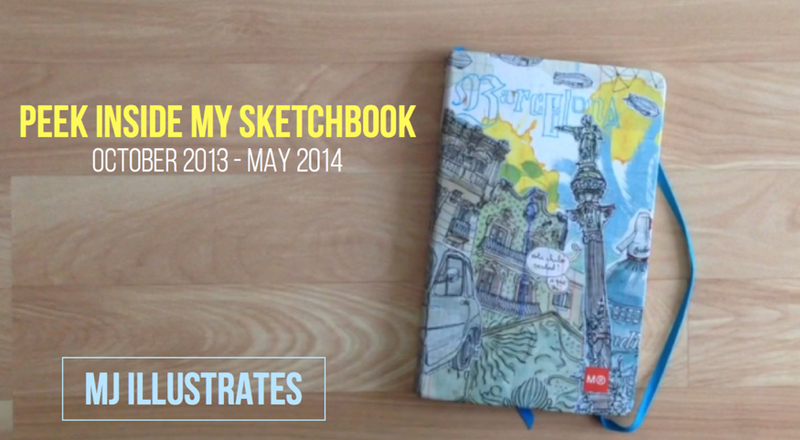 I finally took some time to record another sketchbook of mine. (I'm also getting better with the video editing portion) The sketches on this one were made between October 2013 and May 2014. I was using the previous sketchbook at the same time. This one was mostly used during our urban sketching sessions, at the beginning, then I started adding life drawing sketches, watercolor practices, and sketchnotes from various meetings. At the end I did a couple realistic portraits of local celebrities. They took around 1-2 hours. I stopped after the Keanu Reeves portrait. Perhaps I was afraid the next one wouldn't be a good. There are a couple pages left, not sure if I'll add more portraits or just leave it as is, well see.